To be in with a chance of winning, just enter using one of the methods below. The winner will be selected on Friday 15 December! Good luck everyone. I often buy Mash direct products as my family love them so this would be great to win thank you! 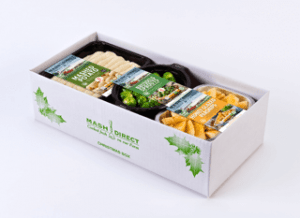 There’s no better time than Christmas to enjoy Mash Direct!